The not-for-profit Harpeth River Watershed Foundation hired BlackDog Press to head up their rebrand going into their annual fundraiser, "The Harpeth River Jam." 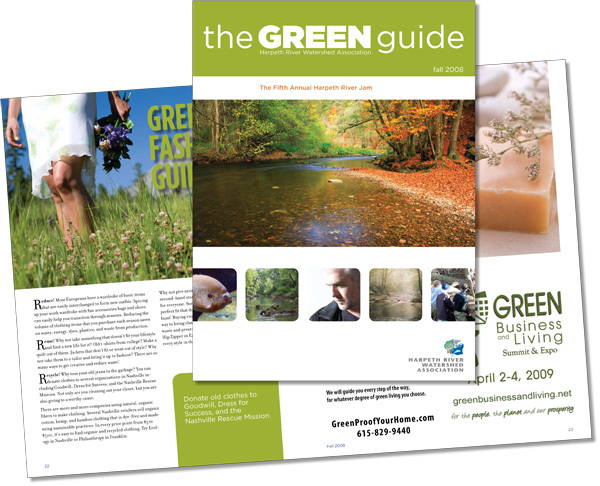 The Green Guide was a helpful (and green) souvenir program. Project: Rebrand, 72 page program.